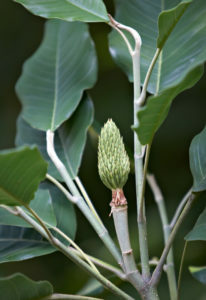 Also known as Michelia champaca, this magnolia species is natively distributed in southeastern Asia. 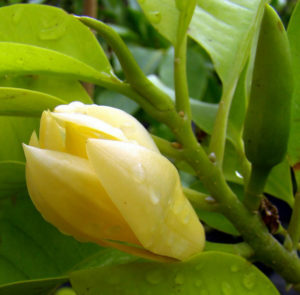 In English, it is commonly known as fragrant champaca, golden champa, orange chempaka, or yellow champa. 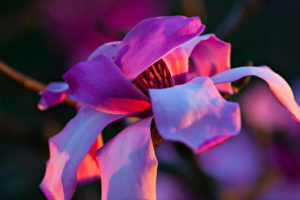 The English names are derived from southeast Asian common names for the species (search for “magnolia champaca” on this page). 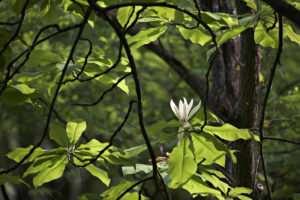 Among the many southern Appalachian delights of the Botanical Gardens at Asheville, this umbrella magnolia (or umbrella-tree) in particular caught my eye. 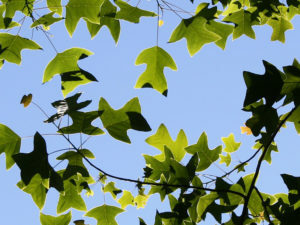 Liriodendron has just two species: Liriodendron tulipifera, native to eastern North America and today’s featured plant Liriodendron chinense, native to China and northern Vietnam. 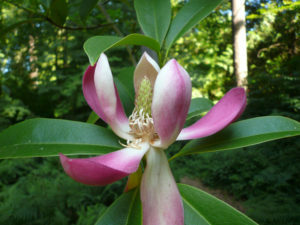 This is a follow-up photograph to last year’s BPotD on Magnolia delavayi (or Delavay’s magnolia). 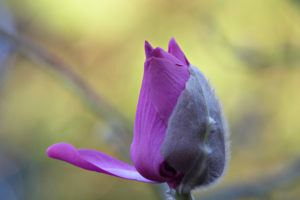 Peter Wharton [former curator of the Asian Garden, now deceased–note added 2018] described the plant in a comment accompanying that entry, so I’ll direct you there if you’d like to read more.